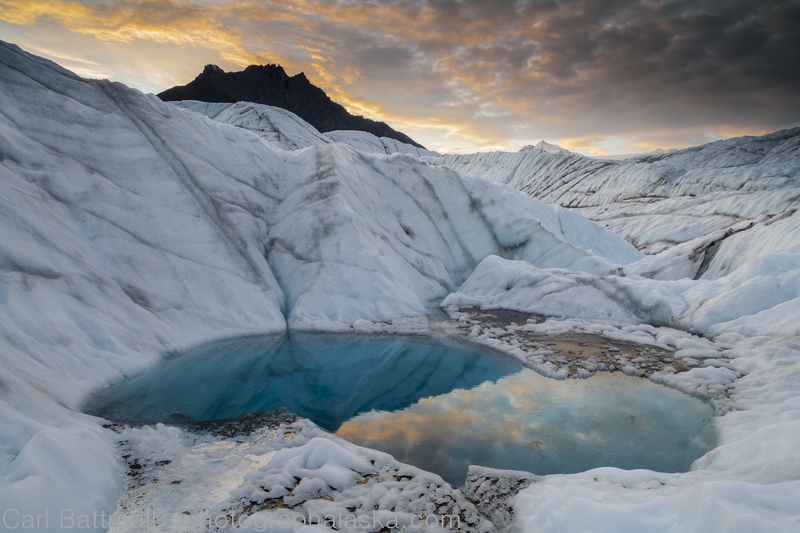 A huge proportion of Alaska is covered with ice. A lot more than has towns and cities or anything man made on it. That’s a lot of country to explore, and its truly beautiful, like another world. 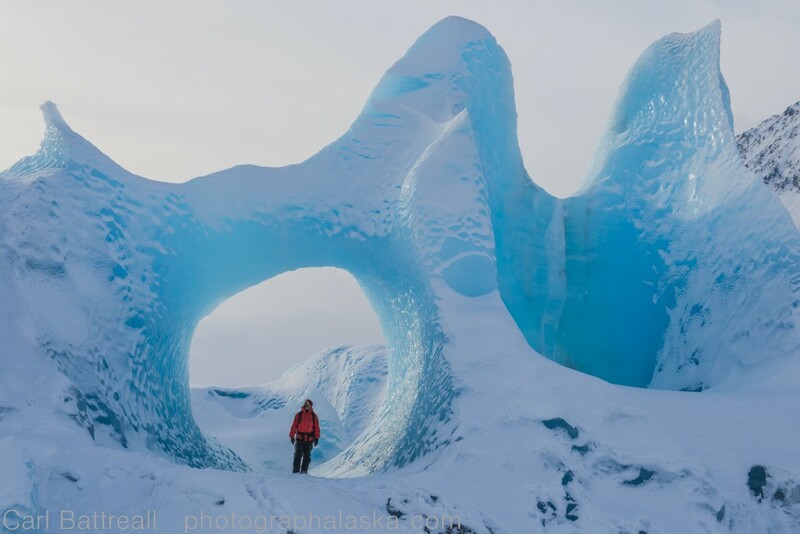 On the next Outdoor Explorer the topic is glacier travel. 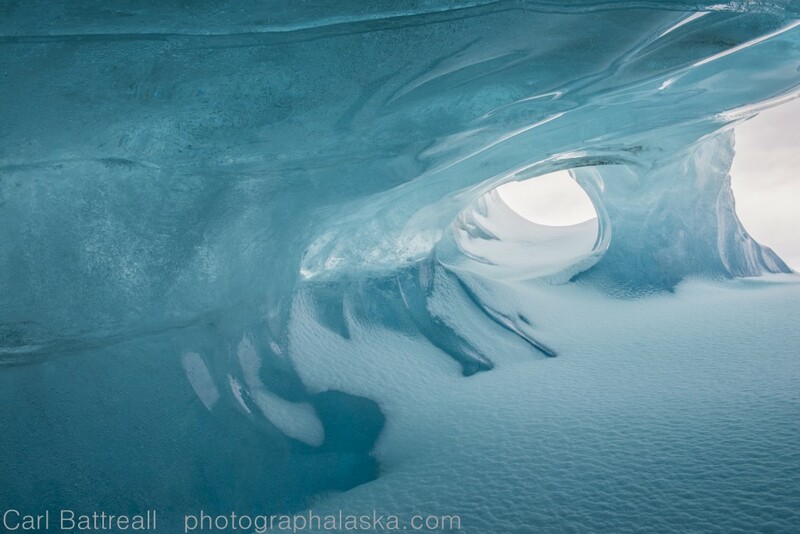 We’ll be talking with a guide who takes newbies on glacier treks, a photographer who specializes in glacier journeys, and a glaciologist who goes to work on glaciers, and knows how they’re made. 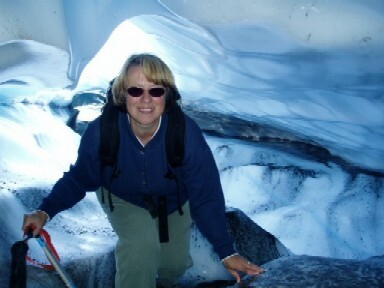 Kris Crossen standing inside an ice cave on the Bering Glacier. 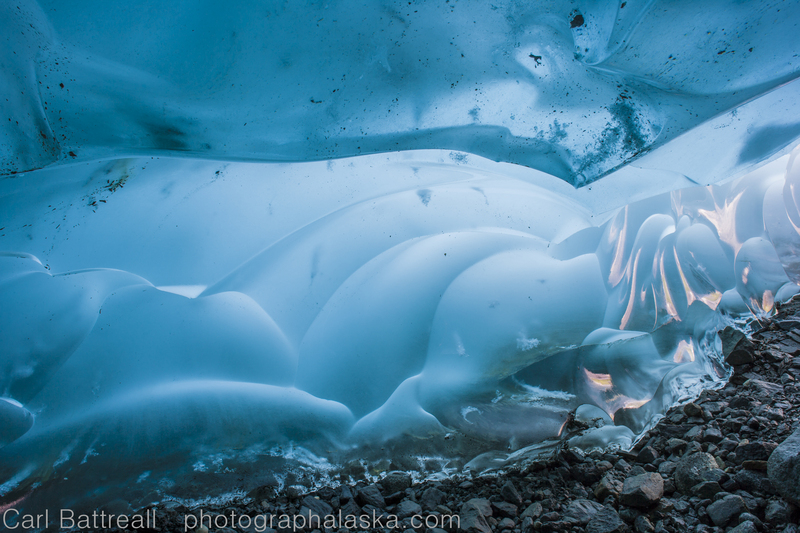 Light from within, Mendenhal Glacier, Tongass National Forest, Alaska. 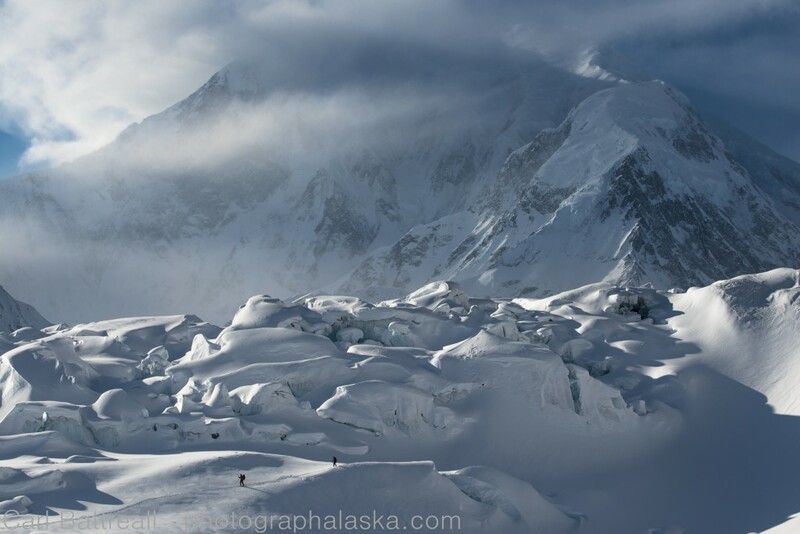 Previous articleWhat’s up with the weather?